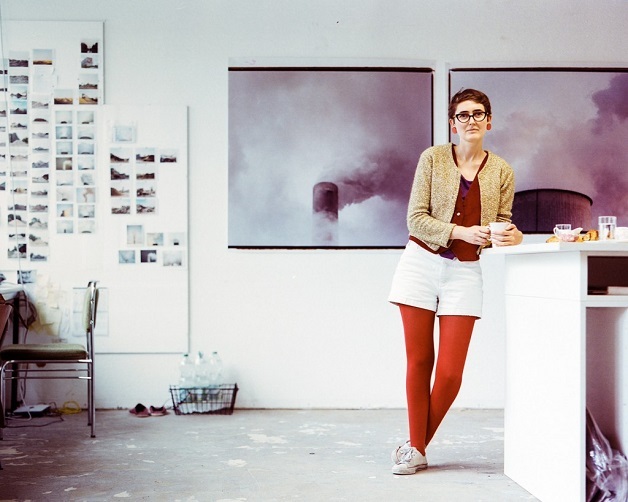 Conor Clarke in her previous studio in Berlin. Photograph by Michael Dooney. Berlin-based Ngāi Tahu photographer, Conor Clarke will be the 2015 artist-in-residence at Waitawa Regional Park, in Auckland in October. This will be a return home for Conor, 33, who grew up at Clarks Beach in rural south Auckland. She will spend eight weeks in a cliff-top bach in the park and she is looking forward to the opportunity to create a new body of work in her home city, close to her family. Conor affiliates to Mangamaunu Marae, just north of Kaikōura. Her grandmother, Marion Boyles (nee Jacobs) came from the region and she is buried next to Conor’s grandfather, Clifford Boyles, at Mangamaunu. Conor visited the marae and burial site on her last visit to New Zealand in 2014. Conor kick-started her international career in Berlin six years ago, after she graduated from Elam School of Fine Arts, Auckland University with a Bachelor of Fine Arts, majoring in photography. 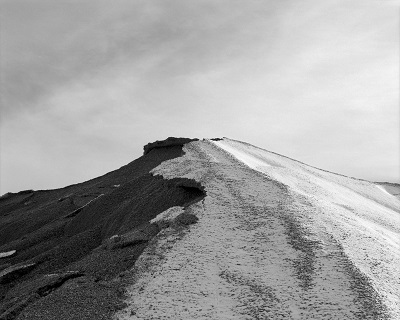 Peak I, Berlin 2014 from “Scenic Potential” by Conor Clarke. Much of Conor’s recent work is spare, stark and sublime. She is intrigued by mundane, traditionally unspectacular industrial sites, as well as by scenes that align with the picturesque ideal. “I experiment with ways of viewing both the familiar and the strange within both natural and urban environments. We can find beauty and ugliness in both – it’s all about associations with place, or the mind-set with which one sees it,” she says. Conor, who has exhibited in both New Zealand and Berlin, almost always shoots with analogue medium format cameras using colour negative. Waitawa Regional Park offers her a range of material to work with. “There’s evidence of Māori occupation, defence and industrial use, not to mention the vistas across Hauraki Gulf. I’ll have plenty of material to work into compositions while I’m here. It’s going to be a busy and productive two months,” she says.